Craig Van Lines has been in business for over 80 years and professional service spans the entire Potomac area and beyond. Whether we are assisting a move across town or beyond the state line, you can trust and depend upon us to be efficient, careful, and affordable. We can help! Our moving pros will assist you with everything from start to finish, be it packing or storage or both and, of course, with the transportation of all your items. When you are ready to begin packing at your current residence, we can be there to help safely and efficiently move your items to your new home or, if you prefer, some or all them into storage. When you are surrounded by boxes at your new home, we can be there too to help you through it all. Wherever you are moving and no matter how intimidating the move may seem, we are your Potomac movers and we’re ready to help. We are just a phone call or email away. Contact us for your free, customized moving quote! Our highly competitive rates are generally determined by the amount of time required for your moving process and the number of our pro local movers needed for your particular needs. Please note that there is also a trip charge added for the drive time spent for our Potomac movers to get out to your home and back again. When you contact us, this is all clearly explained so as to provide you with an accurate estimate. Packing supplies & storage solutions are available. In a bind and need last-minute packing supplies and storage solutions? Problem solved! All you need can be provided by us. We have wardrobe boxes available to ease your transition, which are comparable to portable closets, outfitted with built-in metal rods for hanging your garments. They easily and conveniently enable access, transport, and protection for your clothing. Each of these “portable closets” holds the equivalent to 18 to 24 inches of clothes on a rod. We also offer a full range of other packing supplies such as multiple-sized boxes and custom made crates. If you are in need of storage solutions, we are the answer. We have secure, temperature-controlled facilities where your belongings are kept safe-guarded until you say so. Need even more space? We’ll gladly move your items to a local area storage facility of your choice. Our licensed, bonded & insured professionals provide quick and efficient local moving and packing services on an hourly basis to Potomac and its surrounding communities. Rates do vary by location and by the time of year, so please don’t hesitate to call us to discuss how best we can meet your needs. You may very well be able to contain costs by scheduling your move during the middle of the week and preferably during mid-month when it is less hectic for us. If you are relocating to or from Potomac, trust Craig Van Lines to handle your move. Our professional movers provide customer-centric and top-notch moving services for your commercial or residential relocation, including offices, homes, townhomes, apartments, and more. We’re a leading Potomac moving company servicing all of metropolitan Washington DC. We also offer packing, unpacking and storage services.We understand all of your unique needs, and are familiar with Potomac and handle your personal property with only the highest level of care. 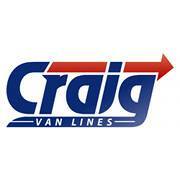 That’s why you should choose Craig Van Lines. Craig Van Lines is a local, family-owned and operated moving company and we’re a proud member of the Better Business Bureau and you can view our review on Customer Lobby.